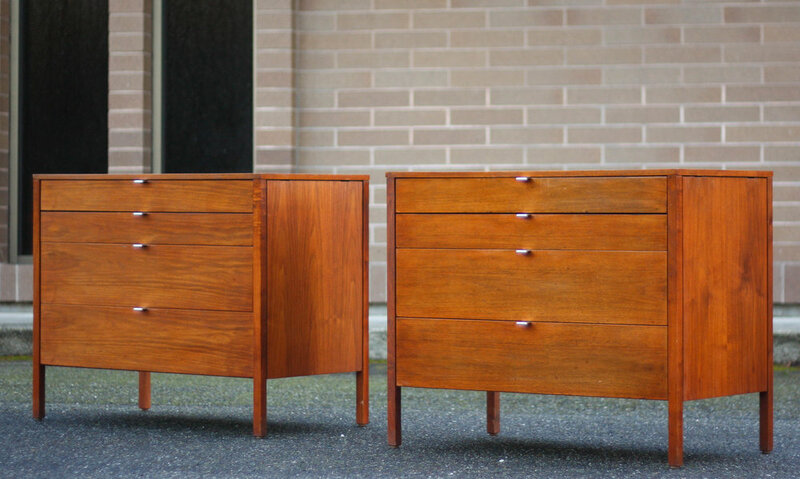 Fantastic walnut w/ white laminate dresser set by Florence Knoll. The set consists of two four-drawer chests and a removable single drawer desk/ vanity. This unit was an upgraded order and features a walnut top, as opposed to the more common white laminate top. 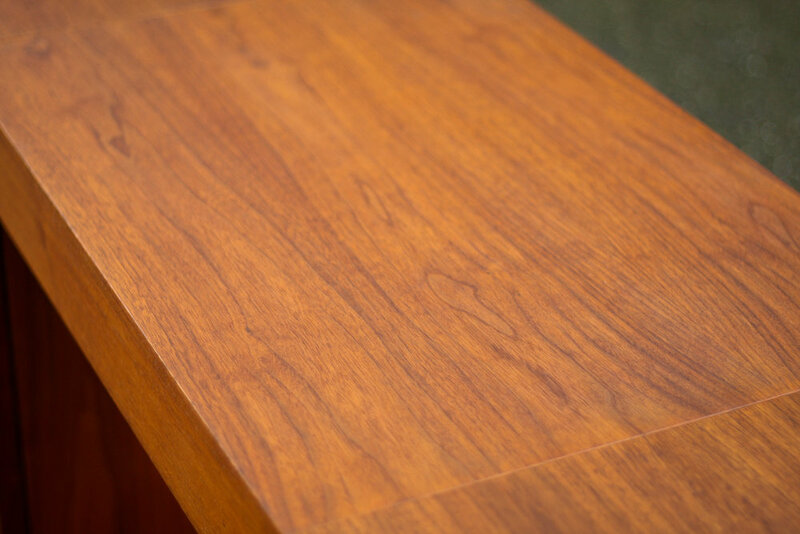 Beautiful polished chrome pulls offer a nice contrast to the walnut drawer fronts. 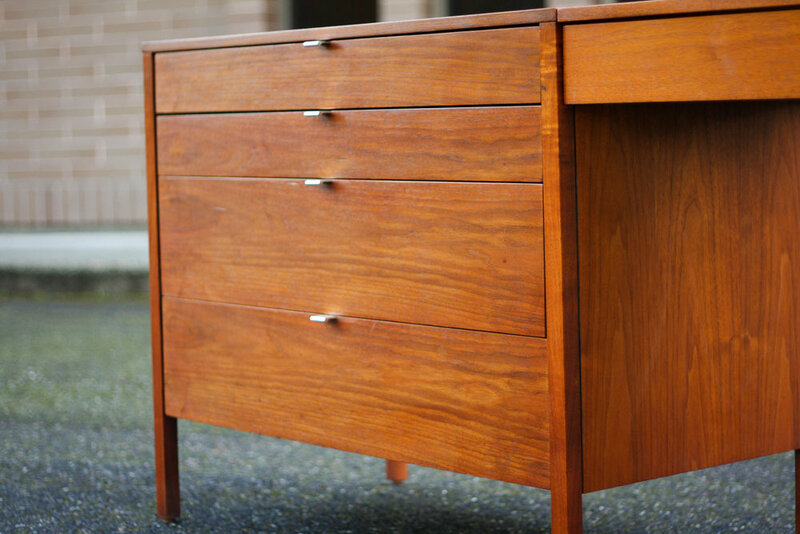 Each piece retains it's authentic Knoll Bowtie label to the drawers dating this piece to the 1950's. Total length when assembled is just over 100".